When Launchpad first appeared in 2009, its creators at Novation and Ableton had no idea that it would become an Internet sensation. In fact, the humble pad kept a fairly low profile on the music equipment landscape for the first year of its life. Launchpad’s main usage during this time was by Ableton users who simply wanted to gain manual control over their Live Sets. Launchpad’s hands-on button grid and one-to-one control of clip launching in Live’s Session View made it the perfect interface for creators wanting an affordable, expandable and easy-to-use control surface. Despite Launchpad’s immediate Ableton-focussed attraction, it always had a DIY element to it. But it took a while for users to see the real potential of the box of buttons sitting in their studio. Unlike other controllers on the market at the time — namely the Akai APC40 — Launchpad didn’t constrain its users to a pre-determined workflow. Instead, it provided a blank canvas in the form of User modes, which allowed creators to make unique and expressive hardware interfaces for practically any software using simple MIDI programming. Launchpad was not the first to provide this functionality: the familiar-looking Monome 64 was released more than a year before Launchpad, but it required a healthy amount of programming and experimentation to operate it. What Launchpad had, crucially, was the ability to plug-and-play, and for the user to quickly and intuitively design controller surfaces without needing to learn a new programming platform such as Open Sound Control (OSC) or Max/MSP. 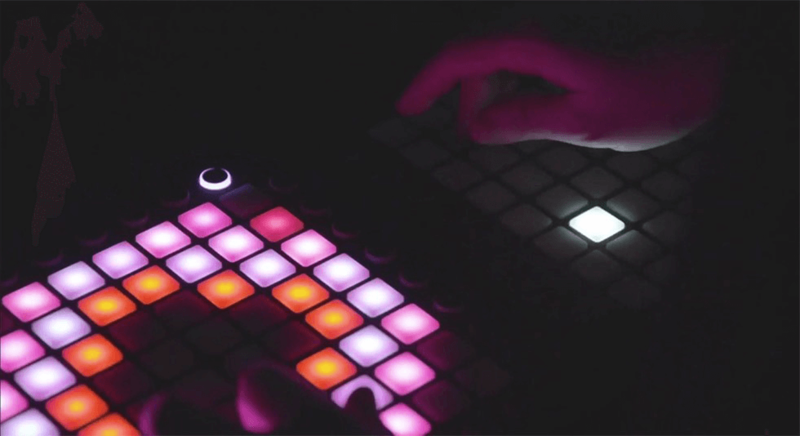 Launchpad’s potential as a performance instrument wasn’t fully appreciated until a young French artist known as Madeon posted a video on YouTube called ‘Pop Culture’. The date was July 11th 2011 and in this grainy performance debut, which was filmed in his parents’ basement, Madeon triggers impeccably arranged samples from “39 songs I like” in what will go down as one of the greatest live mashups in history. His instrument? The Novation Launchpad. In this gift from the social media gods, Launchpad’s potential was laid bare in a perfectly concise video that reached millions of people in a matter of weeks. It was a true viral sensation. Soon, the clip-launching paradigm was part of pop culture (pun intended), and Launchpad was the de facto hardware facilitator. 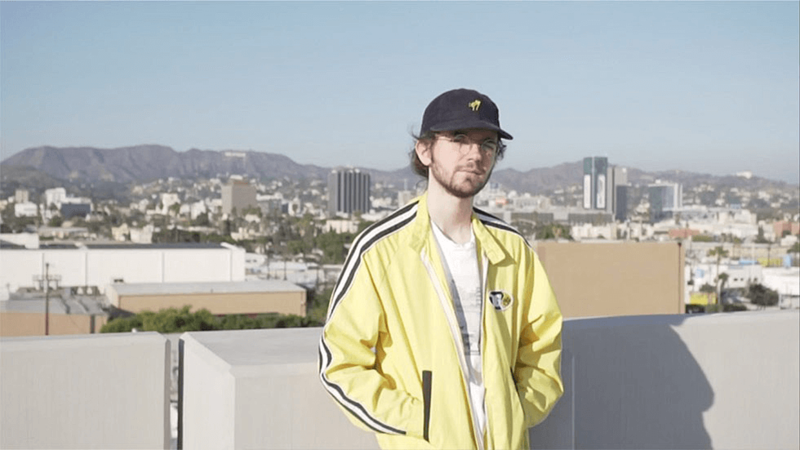 Madeon’s Pop Culture video captured the imagination of countless creators, but it took several more months for anyone else to step up to the plate. Australian native M4SONIC was one of the leaders of the second wave, first with an all-live mashup of Skrillex samples, then his own track Weapon, the video for which was posted to YouTube almost exactly a year after Pop Culture. M4SONIC’s sound was raw and untamed, and bore all the hallmarks of the EDM sound that was in its heyday. Other Launchpad creators, such as fellow Adelaide native Exige, were soon to join the fold, experimenting with multi-Launchpad setups and overdubbed, split-screen performances. Exige’s ‘Ultimate Launchpad Mashup’ was one of the earliest examples of this. Before long, Launchpad Lightshows became more than just the artistic creations of a few headliners; each video set a benchmark for others to meet. Fans and fellow performers alike would watch in awe, often playing and replaying videos in stop-motion to deconstruct the performances and find inspiration in others’ work. Such was the open nature of the scene that it became popular for Lightshow artists to share their Ableton Session files, to show their working, encourage rookie creators, and prove that they weren’t faking it! 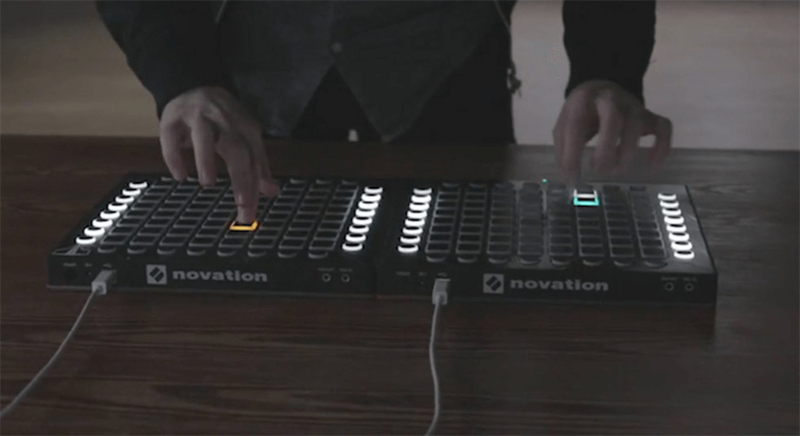 In parallel with the explosion of new, talented Lightshow artists, Novation were making improvements to the Launchpad hardware. First came the Launchpad S, which featured brighter LEDs and a faster processor, which allowed for much quicker refresh of the illuminated pads. Though it was still colour-limited to reproducing green, orange, yellow and red (like the Launchpad v1), the higher processor speed meant more resolution for flashing lights and LED effects. Lightshow pioneers like Nev took full advantage of this, as seen in his remix of Zedd’s ‘Spectrum’ from early 2014. But what really accelerated the scene was the 2015 introduction of the Launchpad MkII and Launchpad Pro. Both new Launchpads featured RGB LEDs, capable of reproducing a huge variety of colours, from pure white to neon pinks and blues — and everything in between. As soon as this new technology hit the market, the complexity of Launchpad Lightshows escalated greatly. Suddenly, creators could draw pictures with their lights, and program mesmerising rippling light effects over the pads of multiple Launchpads. LA-based creator R!ot fused his pure songwriting talent with colourful light effects in his video to his song ‘Slowly’, while UK performer Kaskobi became well known for his covers of popular songs, coupled with intense video performances that featured as much emphasis on the LED spectacle as it did on the music. It’s at this point that many creators acknowledge that the scene began to split. At one end of the scale, there were the 100% ‘live’ artists, whose button pushes would directly correlate with a sound being triggered and an LED action. At the opposite end of the spectrum, a more coder-like performer would program complex light actions that would be triggered in sync with a musical section, but not necessarily as a result of a button push. In the space between these two poles, hundreds of performers experimented with new styles, sounds and shapes, to hone their skills to become Lightshow legends. Despite these minor divisions, the overall trajectory of the scene is positive — new Lightshow artists seem to spring up every week from all corners of the planet. The community of Lightshow fans, who loyally support their favorite artists on web forums and via YouTube comments, push creators to find new ways to express themselves using Launchpad as their instrument. And despite some controversies surrounding the topics of ‘faking it’, Lightshow artists are all interested in one common goal: to move the scene further, and to keep pushing Launchpad’s technical capabilities. The story of the Launchpad Lightshow is one of phenomenal achievement, technical ability and personal triumph… And it’s only just begun.